Granola is one of the most expensive cereals! It can be really good for you: low fat, mildly sweet, with fruit and nuts, gluten free, high fiber OR it can be loaded with sugar and processed ingredients. With this basic homemade granola recipe you minimize the cost and determine what version you want based on your dietary restrictions and needs! 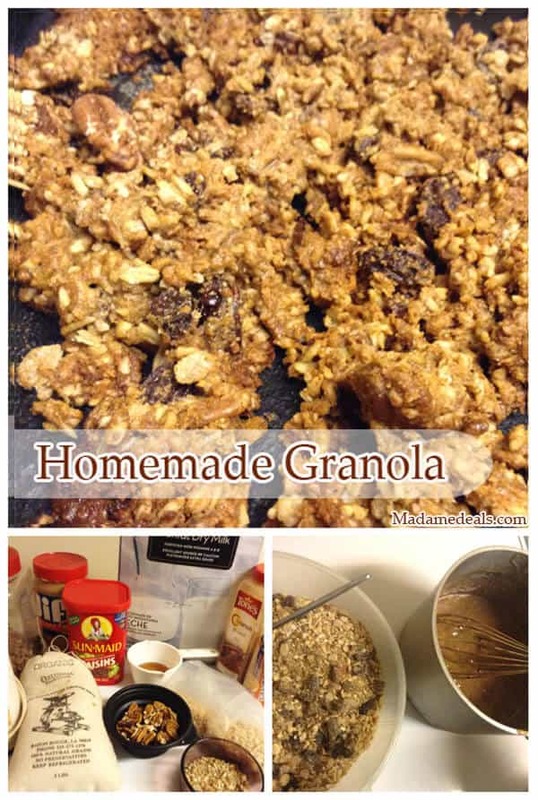 Thanks to Rachel for this homemade granola recipe!